Taunggyi Time (ေတာင္ႀကီးတုိင္းမ္): Why is the Anglo-American Team helping the Burmese Putin? Why is the Anglo-American Team helping the Burmese Putin? Imagine how hilarious to see an Anglo-American team helping the Burmese Putin (quasi-military government) to colonise the non-Myanmar ethnic nationalities by force. Not that the blood of imperialism still runs strong in the veins of these Caucasians who profess their Judeo Christian values of democracy and human rights and paradoxically has taken stern measures against Vladimir Putin. The fact that these Burmese generals were able to repeat their feats of hoodwinking the West in securing the military and economic aid in their ethnic cleansing policy, as they had done in the Cold War under the pretext of communist threat proves the naiveté of the West in their approach to Burma. But the unkindest cut is that they did not have the slightest idea on the Myanmar nationalist mindset, their psyche and rationale. Spearheaded by Tatmadaw (Myanmar Army) these Myanmar imperialist nationalists abhor democracy, human rights and the union of the country in as much as equality and federalism is anathema to them. Ironically, their avowed goal of one country (Burma) one race (Myanmar) and one religion (Buddhist) will soon be achieved with the help of the West. One cannot comprehend of why the West close their eyes on gross human rights violations of the non-Myanmar and bent them to be perpetual under the heels of the Myanmar chauvinist? Now it is apparent that the main reason of why the countrywide ceasefire cannot be ink is only because the Tatmadaw Generals refuse to recognise the word “Federalism” and “Civil Wars”, which authentically proved that they did not learn from history but hate the Union of the country and Democracy and could not admit their fault of taking the country to the lowest ladder of the civilized nations. Lie-ing to the country and the world at large is still the hallmark of their avowed policy. The very fact that the various Tatmadaw administrations have committed heinous crimes on the country and the people of Burma from 1962 up to this day was never being admitted in public by any man in uniform, not to mentioning asking for forgiveness from the people sounds hallow when they utter words like national reconciliation, ceasefires, and peace. Logic also clearly points out that such people still in power is ready to use the same method if things does not turn out their way as what they are doing in Kachin, and Shan states including the Rohingya dominated areas of Arakan states. Imagine the government did not dare to release the result of the census which started in the first week of April and lasting only ten days, because the Myanmar population is not more than 30% of the country’s population while the rest are non-Myanmar ethnic nationalities, openly flouting the international standard, the exacts figures will be released only in May 2015 as according to Khin Yi the minister of Immigration. Instead the census give the Tatmadaw a guise to launch a major military offensive now underway. Even the government party the UNDP (Unions Nationals Development Party) complains that Rohingya living in Rangoon were not even allowed to register as Rohingyas. Isn’t this a systematic ethnic cleansing of the Rohingyas, now that 140,000 people living in displacement camps while further 700,000 vulnerable people outside the camps as according to the UNHCR figures? Thein Sein administration have provided more evidence of by expelling humanitarian aid workers from Rakhine state and a swelling number of reports outlining military-perpetrated sexual violence. Yet Britain alone had contributed16 million pounds sterling of the $75 million (contributed by Australia Germany and UN) for of the census. Now at least the world has known the craftiness of the Myanmar Generals of how it can milk the resources from the West to implement its not so secret policy of ethnic cleansing. What we could not comprehend is the rationale of the Anglo American team helping such a notorious regime? The 2008 Nargis Constitution took nearly 15 years to draft, everyone knows that it is not a citizen document, but rather a Tatmadaw document forced upon the people as it allows the Army to continue to rule and financially benefit from more international investment. Political prisoners, which the government stated did not exist, were released during several presidential amnesties that often coincided with significant events, including the visits of international figures to Burma. For example, U Myint Aye, a prominent human rights defender in Burma, was released when President Obama visited Burma in Nov. 2912 However, none of the country’s draconian laws have been removed or changed, which are used to entrap individuals who continue to speak truth in Burma. Those released can be thrown back into prison if they offend the government. There has been no unconditional release of political dissidents. There is no compensation for unfair prison time. There is no medical treatment for the years of prison and torture political prisoners were forced to endure. There is no independent judiciary. Yet the West is eulogising Burma that it has started changing from dictatorship to democracy. The amnesia that seems to be affecting some in the international community cannot continue. Truth will emerge. It seems ironic that as the rest of the world praises the leader of Burma, the Burmese people from all walks of life continue to be deprived of their basic rights. The people are revolting in mass demonstrations. They are fighting for their lives, their land, their livelihood and their voice in government and yet the West is pouring money into the country. It is to be admitted that within Burma’s different ethnic communities there can also be found a range of political views; between people of different ethnic communities there will also be many points of agreements and disagreements that has nothing to do with ethnicity. Nevertheless, there is a shared view among people from the ethnic nationalities that each ethnic group has a distinct ethnic identity and can only be represented effectively by somebody of that ethnic group. For the majority, ethnic Myanmar, however, there is no 'Myanmar identity and no effort is needed as it cuts across ethnicity, since Burma is a (multi-ethnic) nation-state and political organisations established by Myanmar are usually presented as 'all Burma' in nature. From the perspective of the majority Myanmar, they see politics as fought out between parties seeking support -- some locally, some nation-wide, rather than a contest of ethnic electorates. When politically conscious groups in ethnic communities are asked to explain what they mean by the ‘ethnic problem’, three categories of issues are raised repeatedly. I. Ethnic areas (states) are either looted or neglected. Undoubtedly the feeling is widespread among ethnic people that, reflecting Myanmar dominated government policies and practices, ethnic areas are either undeveloped and backward or exploited. They see their areas as lacking infrastructure and economic opportunities, or as being developed only in the sense that their natural resources are extracted in such a way that the local people are by-passed in terms of decision-making and benefits. Such concern reinforces the importance of the demand for self-determination or autonomy, i.e. self-government in some form or other, of non-Myanmar ethnic groups within recognized territorial units. II. Ethnic leaders are not represented in national (government) leadership. It seems to be the perception of ethnic leaders that at the national level, Myanmar leaders assume that it is the right and responsibility for the Myanmar lead. Obviously non-Myanmar ethnic nationalities share a distinct distrust of Myanmar politics and political leaders, however much they try to respond positively to Myanmar expressing solidarity with them. The inclusion of ethnic nationalities leaders is often experienced as tokenistic. III. Ethnic rights and what groups should be accorded such rights. Undoubtedly, the thinking of those putting forward the lack of ethnic rights, reflects a diversity of situations in which it is observed that ethnic people are seen as not being treated fairly, variously by Myanmar, the state, a Myanmar-dominated state i.e. the government and its various instruments including the Tatmadaw. This means that for non-Myanmar ethnic nationalities, there will be a primary focus on how their own ethnic group, and non-Myanmar ethnic groups jointly, will fare vis-à-vis Myanmar. For non-Myanmar, politics revolves substantially about relations between ethnic communities, about achieving equality between the Myanmar and non-Myanmar communities and about the recognition and realisation of ethnic autonomy. The Burmese political élites are divided on the question of the legitimacy of non-Myanmar ethnic grievances and aspirations. The Myanmar-dominated military insists that it must impose its nationalist will through the Myanmarnization of ethnic nationalities in order to counter ethnic efforts to separate from Burma. But the pro-democracy political leaders in opposition tend to be more willing to recognise non-Myanmar grievances and has acknowledge that ways must be found to satisfy non-Myanmar aspirations. Why is the Anglo-American not encouraging the ethno democratic group? Autonomy is a device to allow ethnic or other groups claiming a distinct identity to exercise direct control over affairs of special concern to them, while allowing the larger entity those powers which cover common interests. In the federating process, the existing states call the federal government into existence; in the Decentralizing (federalizing) process the national government calls the states into existence. If the Union of Burma were really a Union then it must recognise the ethnic nationalities region where the country has special autonomous ethnic nationalities regions and granted each of them the right of self-government with regard to their internal affairs. Of course it is not easy to fit the historical reality of Burma into any neat category but is the best way for both the Myanmar and the non Myanmar ethnics. History has recorded that the British had administered Burma in two distinct ways and agreement was reached between the British and the AFPFL, the party leading the nationalist movement, that the areas covered by these two systems, Ministerial Burma (Burma Proper) and the Frontier Areas or Excluded Areas, should be united (rather than withhold independence from the Frontier Areas). For the official British view of the two elements of British Burma, the AFPFL, representing the Myanmar-led, Burmese nationalist movement, was adamantly in favour of this ‘union’, but certain of the ethnic leaders within the Frontier Areas (as well as certain ethnic leaders within Ministerial Burma) were ambivalent or hostile. The negotiations and discussions at the time of Panglong and the Frontier Areas Inquiry referred repeatedly to a voluntary federating process, with demands for the ‘right of secession. This is the basic problems. Business minded persons from Europe, Japan, and the United States are packing airplanes into Burma doing a hefty business that have violated human rights or hindered political reform or the peace process with ethnics. But does it herald for the prospects for real change, the rule of law, the expansion and consolidation of human rights, and the quality of public life? It must be remembered that the country still lacks basic infrastructure, including reliable electricity and ports, rule of law, an educated and trained workforce and strong property rights. But the most crucial aspect is its policy of engaging the ethnic nationalities on individual or group-wise basis, a sly “divide and rule policy”, to lessen their collective bargaining position, which is the central demand of the ethnic nationalities. And to top is the rejection of the Panglong Agreement of 1947, which is taken as a core treaty between the Myanmar and the non-Myanmar to form the Genuine Union of Burma. This is clearly a Myanmarnization policy that the country was a monolithic whole with the Myanmar lording over the non-Myanmar since time immemorial, save during the British colonial period and not what Bogyoke Aung San, the founder of the modern Union of Burma, has envisage that it was born out of the concordat of the Panglong Conference of 1947 where different nations belonging to the ethnic nationalities willingly join the Union on equal basis with the more numerous Myanmar. The successive military regimes, including the incumbent quasi-military regime is still untrustworthy and lack of historical responsibility to right all the wrongs that have accumulated all these years. The ethnic nationalities are ready to be part of the federal union, if their rights of self-determination, equality and democracy aspirations could be fulfilled. But they don’t see any hope in the 2008 Nargis Constitution and if the regime did not respect Pang long Agreement which has been the sole legal bond between the Myanmar and the non-Myanmar, they might as well continue to fight. They saw signs that there is a tendency that the regime would insist that the ethnic nationalities to forget the Panglong Agreement and should be satisfied with some piecemeal handout, under the rubric 2008 Nargis Constitution. This explicitly would mean the total capitulation of all the ethnic nationalities, forsaking their national identities and sovereignties accorded to them by their forefathers and they construe that instead of this Balkanization will be a better option. The ethnic nationalities knew that that the recent military-backed, 2008 Nargis Constitution regime is a carefully planned sequence of the military top brass to become a de facto government from de jure status. But it is not hopeless affair, the NLD (National League for Democracy) headed by Daw Aung San Suu Kyi, together with 8888 generations, and ethnic leaders from five parties the United Nationalities Alliance (UNA) agreed to work together to amend the 2008 military-backed Constitution, with the longer-term goal of creating a federal political system. Daw Aung San Suu Kyi said Burma definitely needs the federal system and that the Constitution must be scrutinized line by line to root out inconsistencies in some of its sections.It will be far better world for the Western democratic countries including UK and US to invest and encourage the ethno democratic forces such as the UNFC, NLD, 8888 Generations group, as they are sure to bear good fruits then this sordid quasi- military government. Then and only then there will be a good investment from the civilized world and will not tantamount to backing the wrong horse. In the 70s they secured a big military help including helicopter gunships form the US under the pretext of fighting the Burma Communists and narcotics until one of them was shot down by the KNU. 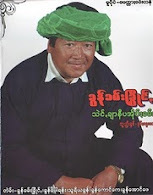 Khin Maung Win (2001) refers to the political significance of the federating and federalizing Processes in the context of alternative proposals for the future Burma.